Let me start by explaining why I chose WordPress as my favorite platform. It is a system where you work away from the front. Yes, you work back page. You put things together here as it becomes visible on the front. It might sound a little awkward if you have not tried it before, but it’s quite simple once you got going. I have for the simple reason that I am not a web designer, I’d rather write articles and work with words to create value. Here it is easy to create an article, for example, in a document on your computer. I use Google doc where you can create an entirely blank document that you can copy directly into your article. This platform is the most common and over 30% of all the websites that you meet online with WordPress. I’ve tried to work a little with Joomla in the past, but found it somewhat technically demanding. Good enough has themes more options, and you can add some other things than you can with wp. I also tested wix which is a platform where you work directly on the front. Yes, you can lead both video, pictures, and text directly on the front. But the problem here is that it leaves a lot of scripts and codes that make your site to be painfully slow. But when I said, I say that it is not as is my strength so why not just create pages and articles with a simpler system. The WordPress system on a large community where many of the people who work with it, develop it for free. Yes, there is what you call open source. Means that you can very quickly go in and build a page without having it attached to a host. True, you do not own your work when you build that way, but it’s a way to test it before you get started. Another way is by getting a subdomain here. It is still not entirely your domain, but you own the page once you’ve set it up. You can choose to build a subdomain as your page will have put into the actual name. You can still well get it indexed in search, but it will never appear on your very own page. Google does not care where the context comes from as long as it is original and helps the reader with the topic as he searched. Be serious and build a page that you own. What I recommend is that you buy a domain name and adds it to a host. Such a name costs less than $ 15 a year to own. For this, you then have a host, a place where you can park your name. Here is the price vary a lot. You need to create your page so I would say that it is important not to choose the cheapest but also not the most expensive. You can easily find a package where you get an excellent service from the host to approximately $ 100 per year. What I will do here is to examine the level of service they have. Have there been complaints and what has complained? Another thing you should look at is whether it has a one-click installation of WordPress. If not then there is a greater chance that the host does not help you much with actual questions. I tried it I had some years ago, half of the people I chatted with had no insight into the platform. The host had a control panel which I learned a lot by having to navigate around. But in retrospect so I spent much unnecessary time that I could have used to build my hand up instead. But as I said, it is important that you can installed it with a click. It can get at most when WordPress is a widely used and integrated platform. Ok, let’s start with the installation of your wp site. It takes no more than a minute to install your side. It takes the time it is to build it up and get it indexed in the search engines. It requires that you learn how to create texts and find out how to insert pictures. You also need to get it to talk to the search engines so they can more easily find your site and put it up to your readers can find you. The first thing you do is to find a name for the page. Yes, your domain must have an appropriate name linked to your page should be. Do you have a local company name will be very timely to use if it is available? 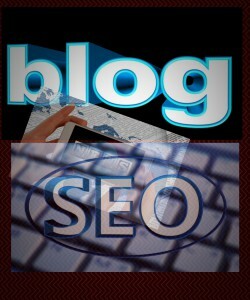 If you intend to create a blog, you can sometimes use your name in the domain name itself. (I have used my own to this blog) but otherwise, you should aspire to it have relevance to the niche you want to work. The next is to buy the name and point it toward your host. Not all hosts where you can purchase a name too. Here it is a good idea to get in touch with the host’s support department that guides you in place. They help you usually also installing WordPress. The third thing to do next is to choose a theme. Here are many good free themes that you can choose. Find one that suits your purpose. You can always choose another once you have started to build since. To manage your communication with search engines, I use a called all in one SEO. To protect myself against spam comments I install a called spam shield. It works both to filter your comments so you should not take the position, will for its robotic comments or not. But it also helps you to filter the mail you get if you want to use a contact form later in the process. The fifth thing I want to install is one that can help to exclude page and posts you then want to hide a page from the search. It’s the extra things that I want to install before I begin. Step number six is the menu bar. Here we are back to the team how should the menu bar look like it must be visible, and it must be one which. Most themes have a visible menu bar that allows you to build some pages so visible during your header image. But otherwise is it that you should think about doing extra to get started. 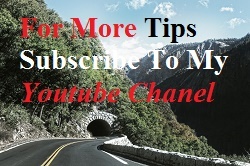 To make your setup itself, you should have decided whether you want a static page or on your front page should be a blogroll like it here I have created. Here you can also always change it along the way. The last thing I want to talk about is your Widget area or areas. Most themes if not all so that they also work on mobile devices. But otherwise, you can get themes which both have them on left and right sides. This theme I use this blog has a right side and a bottom. But your Widget area is visible on all of your articles and pages. So that place there will be static for most themes. I know that there are professional issues where you can eliminate this area. It will in many cases provide a significantly cleaner look. But otherwise, you can place banners, menus, pictures videos and much more in the area. You can also the installer plugin which gives you some additional options here. What I talk about here are the six most important things you need to think about when you want to install a website in WordPress. I failed to describe how you put it all together it requires much effort and time to create a website which gets visitors and authority to search engines and your readers. If you’ve never created anything online before, you can get some training in what I have written about in this article. Yes, you can get a side good enough, it is a subdomain. But with the ten lessons that come with it. So you are already started with your first own page. Remember I am on the other side to help you and there follows a lot of others who are on the same level as you are. 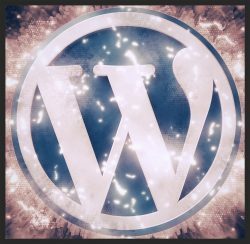 Are you working with WordPress, or would like to start then let me hear about it below. Remember to share and like on your social networks. Just press one of the buttons below the article. You are very thorough in your instructions for how to install WordPress. I went through this process on a website I owned a year or two back – the domain provider also was my hosting provider, which cut out some of the work. I actually started with Joomla but I couldn’t get on with it, although it seemed powerful. So I moved over to WordPress which was easy to use, it seemed very intuitive. The hardest part is what comes after – writing content for your webpage! Thanks for the comment Joe! Fun you mention joomla. I have tested the platform myself. I also spent an infinite amount of time hanging it up. WordPress is just easy to put together. But as you probably know, many people use the work with their theme as a regret for not writing and posting pictures on their pages.